"No scholarships." That's how Terry Ryan stressed not handing players jobs this year simply because they had jobs last year. Tsuyoshi Nishioka was the first casualty and now Drew Butera joins him in Rochester after two years in Minnesota. Butera's job was in jeopardy as soon as Ryan Doumit signed, but Ron Gardenhire's fear of catching emergencies and the Twins' aversion to ditching marginal guys for whom they develop an affinity had me skeptical. Actually replacing replacement-level players is a step in the right direction, although Butera remains on the 40-man roster and, considering Joe Mauer's injury history and Doumit's shaky defense, there's a good chance he'll be back. Butera stuck around despite the lowest OPS of any non-pitcher with 300 plate appearances since 1990 because the Twins loved his defense, liked him as a person, and believed he had a big influence as Carl Pavano's personal catcher. Pavano with Butera catching: 294 innings, 4.14 ERA. Pavano with Mauer catching: 201 innings, 4.08 ERA. My assumption is that Doumit will be the primary right fielder because he's one of the team's best hitters, has experience there, and presumably wasn't signed to mostly sit on the bench regardless of his position. However, if demoting Butera means that Gardenhire will use Doumit as more of a true backup catcher then Trevor Plouffe would seemingly be in line for most of the starts in right field or at least a time-share with Ben Revere. Chris Parmelee parlayed a big September call-up and strong spring training into the starting first base job, with the Twins deciding that the best chance of keeping Justin Morneau in the lineup is at designated hitter. Morneau may prove healthy enough to return to first base and Parmelee may show that his mediocre track record is more telling than his most recent 100 at-bats, in which case the Twins could shift Doumit to DH and use Plouffe/Revere in right field. They certainly have no shortage of first base/designated hitter/corner outfield options, which should be good for an offense that scored the second-fewest runs in the league last season, but they're also lacking a true backup middle infielder should 38-year-old shortstop Jamey Carroll or oft-injured second baseman Alexi Casilla need time off and it's unclear to me what role there is for Sean Burroughs unless he eats into Danny Valencia's starts at third base. 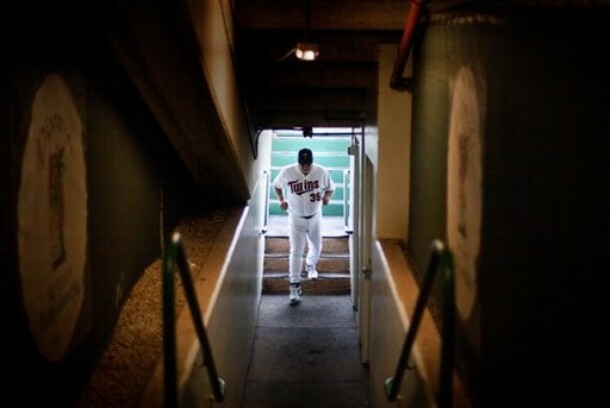 Injuries are keeping the Twins from beginning the season with their preferred 12-man pitching staff. Scott Baker is on the disabled list with an elbow injury, so 23-year-old Liam Hendriks will step into his rotation spot. Jason Marquis has been away from the team following his daughter's bicycling accident and the Twins will take advantage of an early off day on the schedule to skip his first turn in the rotation, which means they'll have eight relievers initially. Kyle Waldrop would have been one of those eight relievers, but he's on the DL with an elbow injury of his own, leaving space in the bullpen for a pair of early offseason waiver claims (Matt Maloney and Jeff Gray), a non-roster invitee on a minor-league contract (Jared Burton), and a 2011 holdover with a 5.40 ERA in 98 career innings (Alex Burnett). Once everyone is healthy one or two of those guys will lose their spot, but that's a very shaky middle relief corps. And the presumed late-inning options don't inspire a whole lot more confidence aside from Glen Perkins as the primary setup man. Matt Capps has plenty of questions to answer at closer coming off a disastrous season, Anthony Swarzak seemingly lacks the raw stuff and bat-missing ability for a high-leverage role, and Brian Duensing still needs to show that he can consistently get right-handed hitters out after flopping as a starter. Aside from overpaying Capps it's a bullpen built on the cheap with failed starters, waiver wire pickups, former mid-level prospects, and injury comebacks. Odds are at least one solid reliever will emerge from that group because that's just how relievers work--my money would be on Burton, assuming he's healthy--but in the meantime things could get pretty ugly as Gardenhire searches for someone dependable beyond Perkins. 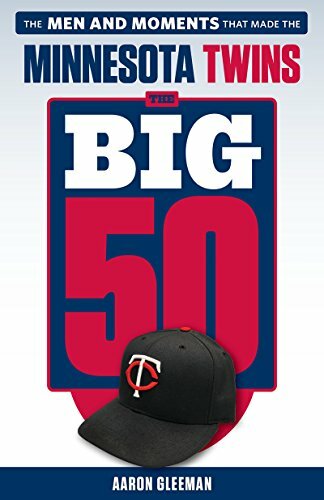 • Last week I commended the Twins for trimming a half-dozen replacement-level players from the 40-man roster, but yesterday they filled two of the newly created spots with others teams' replacement-level players. By virtue of a 63-99 record the Twins have the No. 2 waiver position and it makes sense for them to take advantage of that as teams remove players from 40-man rosters and pass them through waivers in bunches to prepare for the offseason. Unfortunately neither Matt Maloney nor Jeff Gray possesses any kind of significant upside or has a particularly intriguing track record, and for the Twins to give 40-man roster spots to the caliber of talent they could simply sign to minor-league contracts is strange. Last offseason they made similar moves to add Eric Hacker and Dusty Hughes to the 40-man roster and the results were predictably poor based on their underwhelming resumes. Maloney, who was claimed off waivers from Cincinnati, is a former third-round pick whom the Reds acquired from the Phillies for Kyle Lohse in mid-2007. He's a 27-year-old left-hander with a 5.40 ERA in 80 career innings as a major leaguer and averaged just 87.1 miles per hour with his fastball. Maloney has very good control and some nice-looking ERAs in the minors, but he's an extreme fly-ball pitcher and doesn't miss many bats. Maloney served up 18 homers through his first 80 innings in the big leagues, which works out to 2.0 homers per nine innings and would be the highest homer rate in Twins history. He also gave up 19 homers per 200 innings at Triple-A, which is a lot for an experienced pitcher in the power-deflating International League. Along with all those homers Maloney also managed just 6.1 strikeouts per nine innings in the majors and 7.6 strikeouts per nine innings at Triple-A. Gray is a 29-year-old reliever joining his fifth team in two years. He was originally picked by the A's in the 32nd round of the 2004 draft and they traded him to the Cubs in a 2009 deal for Aaron Miles and Jake Fox. He left the Cubs as a minor-league free agent and signed with the White Sox last offseason, only to be claimed off waivers by the Mariners in May of this season. Bouncing around doesn't preclude Gray from having upside, but his track record isn't pretty. Gray has spent at least some time in the majors during each of the past four seasons, logging 89 total innings with a 4.57 ERA, 50-to-31 strikeout-to-walk ratio, and .286 opponents' batting average. In theory averaging 93.5 miles per hour with his fastball and 86.7 miles per hour with his slider should allow Gray to miss more bats than Maloney, yet that hasn't been the case in the majors so far and he had just 142 strikeouts in 199 innings at Triple-A (with a 3.94 ERA). Maloney and Gray aren't totally without value and certainly every team needs pitching depth, but for the Twins to choose them as waiver targets and give them each 40-man roster spots is hard to understand. 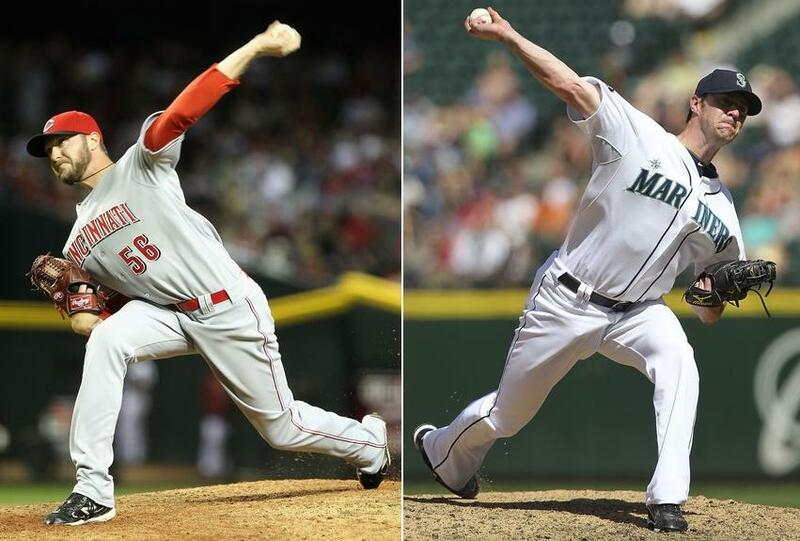 Maloney is a 27-year-old fly-ball starter with a high-80s fastball and Gray is a 29-year-old journeyman reliever with iffy control and few strikeouts. Every winter dozens of pitchers just like them are available for minor-league deals that don't require 40-man spots. • MLB Trade Rumors got its hands on the free agent compensation ratings ahead of the official release and the Twins' free agents are ranked as expected. Michael Cuddyer and Matt Capps qualified as Type A and Jason Kubel qualified as Type B. Capps' rating is irrelevant, because in order for the Twins to receive compensation for him leaving they'd have to offer him arbitration first. And if they did that he'd simply accept and force them into a one-year, $8 million deal. Obviously the Twins would welcome both Cuddyer and Kubel back on one-year deals, so they'll be offered arbitration and will each decline. Any team signing Cuddyer would have to give their first-round pick (or second-round pick, if their first rounder is in the top 15) to the Twins, who'd also receive a supplemental pick between the first and second rounds. Teams are able to sign Kubel without losing a draft pick, but the Twins would receive a supplemental pick if he leaves. MLB's compensation system has always vastly overrated relievers, which is why Capps is rated Type A while superior players like Kubel, Mark Buehrle, Aramis Ramirez, and Hiroki Kuroda are Type B. Because of the disconnect between ratings and actual value some Type A players have their free agent options limited when teams don't want to forfeit a pick to sign them, but in Cuddyer's case contenders are likely willing to surrender a pick as part of a multi-year deal. 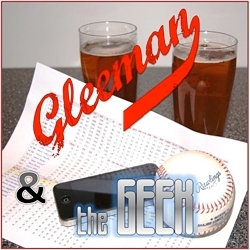 • We're recording this week's episode of "Gleeman and The Geek" a day later than usual, so if you have any questions, comments, or topic ideas for us to cover on the show feel free to post them in the comments section or send them to me via Twitter.